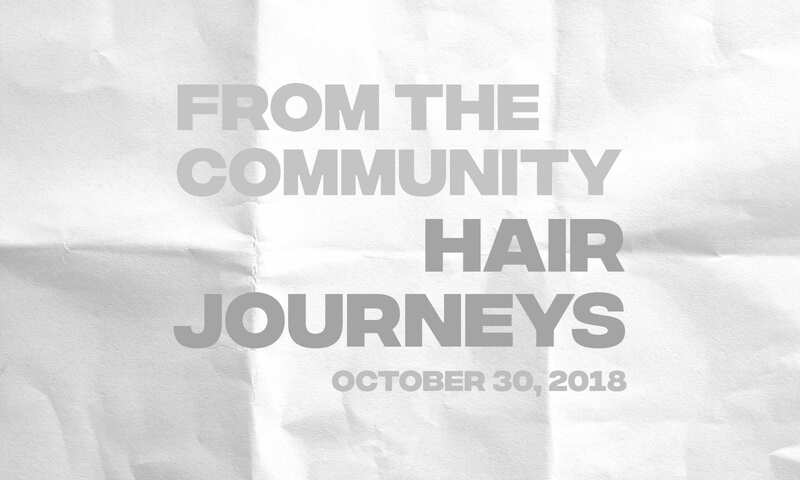 [vc_row][vc_column][vc_column_text]A few weeks ago Hayley shared her hair journey of going from platinum to dirty blonde and what hair means for her. We received so many responses filled with your own journeys towards finding self-love and we’re excited to share two of those stories today. [/vc_column_text][vc_column_text] It’s no secret among my group of friends, neighbors, and workplace that I like to mess with my hair color. So much so that I’ve come to be identified solely by my hair color – “Go find the girl with the purple hair! She’ll help you!” What started out as a few strands of purple, blue, and pink on my head soon turned into a full-fledged dye job, starting with a gray-ish blue before I got my hands on a magenta. Fast forward two years and my poor head has seen every shade of pink, blue, and purple CosmoProf (and soon enough GDY) has to offer. I felt most like myself with a flamingo pink on top of my head (thanks to GDY’s fader + Ex-Girl) for over a year, until one day I didn’t. A few personal crises here and there led me to a dark purple makeover; I created a new version of myself I wasn’t entirely sure of. This person handled their emotions with soft hands, went to therapy for the first time, and adopted empathy as an everyday practice. The urge to go back to pink came and went, but I ultimately felt safe with purple. I had many a conversation in the mirror about how ridiculous it was to attach yourself to a hair color, until I put my hair through the ringer and went back to a bright pink. Never have I felt so strange in my own body. A 4am dye session (and not my first) the next day was the only thing that made sense to me, and deep purple was once again covering my strands. Like Hayley, my most drastic hair changes were a result of stress I couldn’t quite resolve. It wasn’t until I settled into the flamingo pink that I realized my hair color could be part of my identity, or even most of my identity. I don’t mind being able to hide behind the pink or the purple; it’s easier, and comforting to know I can let it take over from time to time. Though I miss the pink, I don’t miss the person I was. She’s an important part of who I am now, but someone I’m comfortable letting own the pink. I’m not sure when I’ll make the transition back a normal color, but for now, a purple-headed, empathetic, unsure girl is who I’m ok hanging out with. 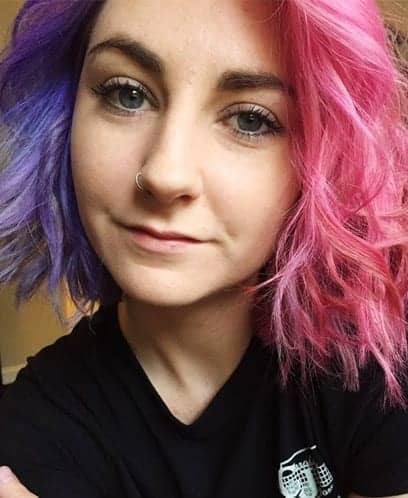 [/vc_column_text][vc_column_text] I’ve been adding color to my hair since I was 10 years old. I started with a couple of small streaks, framing my face, and I gradually moved to bigger and bigger pieces. I was always afraid of bleaching my whole head, I didn’t want to destroy all of my hair. I have course, black hair and it’s always been the only thing I’ve liked about myself. 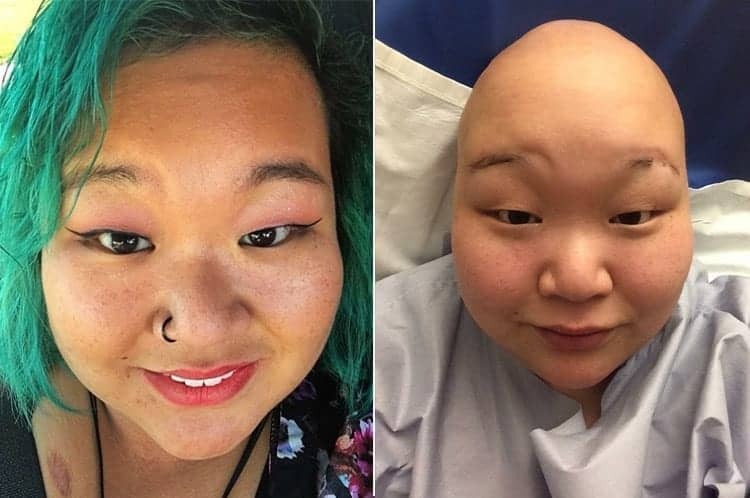 When I was diagnosed with stage 3 breast cancer (a month after my 26th birthday) the first thing that I thought of was my hair. I knew I would lose it all, who would I be without my hair? I was so scared to lose that part of me. I knew immediately that I needed to start crossing things off of my hair bucket list. The first thing I did was get a side cut. It was something I wanted to do for a long time but I was scared about how it would grow out. The next thing I did was bleach my whole head (aside from the buzzed part) and dyed it red. I always wanted Hayley’s bright red hair, she has always been my hairspiration. It was so exciting! A week after that I bleached my hair again and dyed it teal and pink. A few days later it started to fall out. I would watch clumps of my brightly colored hair find its way to the drain. I’d wake up to a pillow that looked like someone plucked my hair out as I slept. I was heartbroken when GDY was launched and I had no hair to dye. I bought some dye anyway, I knew I’d use it at some point. When my hair finally grew back and got to a decent length, I ordered myself a lightening kit and dyed away. I never looked back. I just turned 29 a few months ago, my hair hasn’t been my natural black since I dyed happy. I’ve used almost every color Good Dye Young has to offer. It has really helped me through some tough times. Being able to look back at pictures to see myself in a hospital bed with bright purple hair makes me smile. Cancer gave me the courage to face my bleaching fears, GDY sold me dye that I can confidently use. I’ve never been so proud to show off my beautifully obnoxious hair.